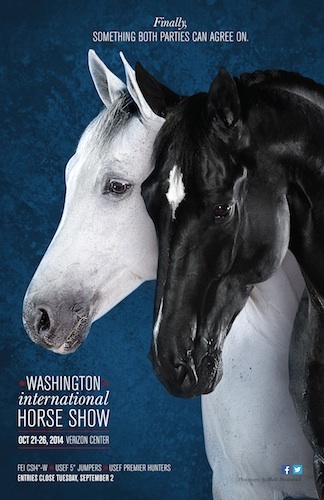 Washington, D.C. – July 22, 2014 – The Washington International Horse Show (WIHS), the country’s premier metropolitan indoor horse show, announces exciting news in advance of its 56th annual event, which will be held October 21-26, 2014 at Verizon Center in Washington, D.C. 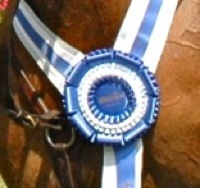 The official WIHS Prize List for the 2014 competition is now available online at www.wihs.org. 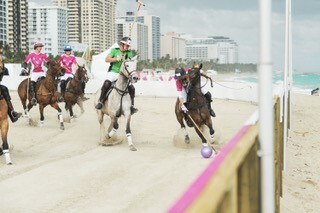 The 2014 WIHS Prize List is available at www.wihs.org! The Washington International has received a CSI4*-W rating, one of the highest classifications for an international show jumping competition, by the Fédération Equestre Internationale (FEI), the world governing body for horse sports. The rating reflects additional prize money for its highest-level show jumping classes, bringing the overall prize money for all divisions to more than half a million dollars. WIHS joins an elite group of horse shows in the U.S. with a four-star rating and is one of only a handful of shows designated as a CSI4*-W, a World Cup Qualifier. Points earned in the WIHS $125,000 President’s Cup Grand Prix count toward eligibility for the Longines FEI World Cup Jumping Final, a highly prestigious and competitive championship held each April. At its June meeting, the U.S. Equestrian Federation Board of Directors named the Washington International a USEF Heritage Competition, a prestigious designation reserved for long-established shows widely recognized within the sport and with significant involvement in the local community. 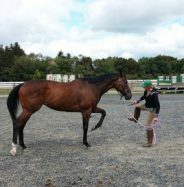 WIHS joins an impressive list of Heritage shows, including the Devon Horse Show, the Hampton Classic and the National Horse Show. New for 2014, two cash bonuses will be awarded to riders accumulating the most points in the International Jumper Division. WIHS will present $15,000 to the overall leading international rider, thanks to presenting sponsor The Boeing Company, and a $10,000 bonus, sponsored by Sleepy P Ranch, to the overall leading rider 25 years of age or under. Kent Farrington and Blue Angel won last year’s $125,000 President’s Cup Grand Prix. 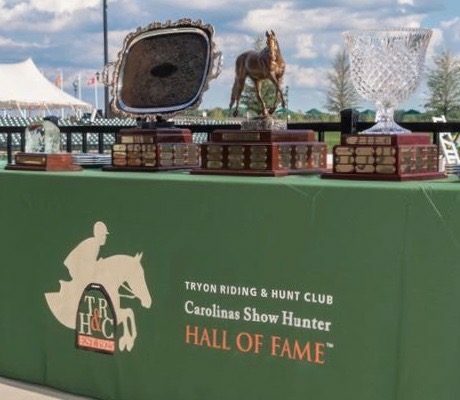 The 2014 competition will also feature a new $5,000 leading hunter rider cash bonus, which will be awarded to the rider accumulating the most points in the professional hunter divisions. 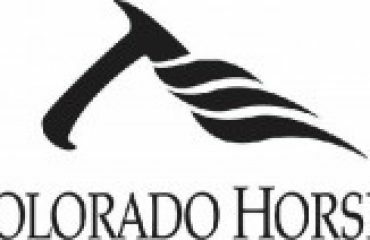 The Young Jumper Championship Incentive Bonus Program, which encourages investment in developing young horses, will return with up to $20,000 at play, thanks to SHF Enterprises. This year’s members of the Jumper Ground Jury are Ralph Alfano, Wellington, FL, president; Neil O’Connor, Southampton, NY, member; and John Taylor, Mono, Ontario, Canada, foreign member. Hunter and equitation judges are Linda Hough, Wellington, FL; Jimmy Torano, Southwest Ranches, FL, Philip De Vita, Apopka, FL, and Mark Leone (equitation), Franklin Lakes, NJ. Course designers are Kenneth Krome, Westminster, MD (Hunter) and Anthony D’Ambrosio, Red Hook, NY, (Jumper). 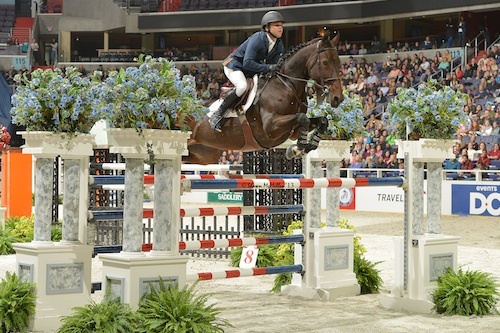 The 56th annual Washington International Horse Show will be held October 21-26, 2014, at Verizon Center in Washington, D.C. Find out more by downloading the 2014 WIHS Prize List at www.wihs.org. Entries close Tuesday, September 2, 2014. An equestrian tradition since 1958, the Washington International Horse Show is the country’s premier metropolitan indoor horse show. Each October, more than 500 world-class horses and riders, including Olympic medalists, arrive in Washington for six days of exciting show jumping and hunter competition. Highlights include the $125,000 President’s Cup Grand Prix (a World Cup qualifier), the Puissance (high jump) and the WIHS Equitation Finals, an important goal for top American junior riders. 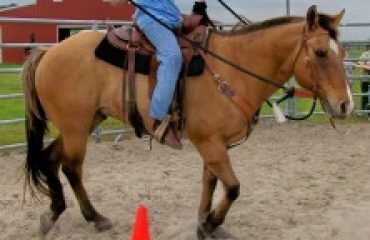 Exciting equestrian exhibitions, boutique shopping and community activities, such as Kids’ Day and Breakfast with the Mounted Police, round out this family-friendly event. WIHS is an official USEF Heritage Competition and recognized as a Top 25 Horse Show by the North American Riders Group.